In The Passionate Photographer: 10 Steps Towards Becoming Great, author Steve Simon encourages his readers to increase the volume of their photographic output. He suggests going on picture outings more often—daily if possible. Most novice photographers don't take enough time to explore their subject thoroughly. He wants budding photographers to take more time to explore their subject, and shoot pictures from every possible vantage point and perspective. Practicing more often and learning from mistakes leads to better photographs. I can let days go by without shooting any pictures and only take a few shots when I do. This afternoon I put Mr. Simon's suggestions into practice. 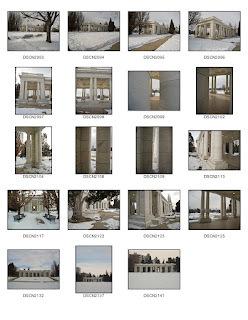 I spent almost an hour in Cheesman Park taking pictures of the pavilion from many different perspectives. 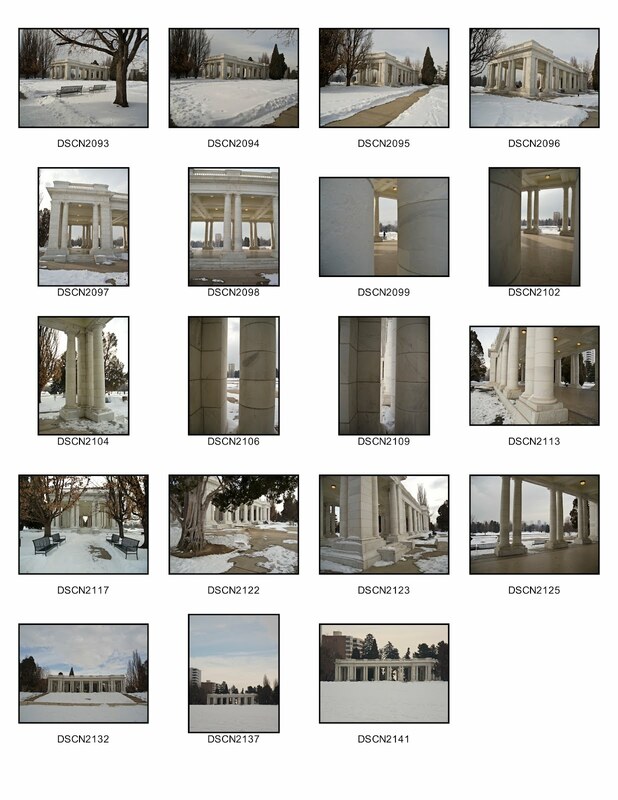 After reviewing my work I selected 19 photos to share. Cheesman Park is named in honer of Walter Scott Cheesman, a pioner of Denver, whose family donated the funds to construct the neoclassical pavilion on the east side of the park. The pavilion, dedicated in 1908, is the most revered part of Cheesman, and serves as a place for formal and informal public gatherings, weddings, dances, and concerts.